Home > Blog > Slip And Fall Accident In Doctor’s Office: Is It Medical Malpractice Or Premises Liability? May 25, 2018 | Under Hallandale Beach, Slip & Fall Accidents | Posted by Dante Law Firm, P.A. In other words, when a slip and fall accident in a doctor’s office counts as medical malpractice? And when is it premises liability? This is the question we asked our Hallandale Beach slip and fall accident attorney from the Dante Law Firm, P.A. In order to answer the question, let’s review a medical malpractice lawsuit that turned into a premises liability case back in November 2017. Here is what happened. The injured person (plaintiff) sought medical attention of a doctor (defendant) to remove a catheter. Before the procedure, the doctor instructed the patient to climb onto the examination table in the doctor’s office. The doctor pulled out a stool to help the patient get on the table more easily. The patient successfully and safety got atop the table and the doctor successfully performed the procedure. After the procedure, the doctor told his patient to get off the examination table and go to the front desk. The doctor left the room without pulling out the stool so that the patient could safely get off the table. The patient fell and injured herself when she attempted to get off the table without the stool. The injured patient then filed a medical malpractice lawsuit even though it was brought after the statute of limitations, which is typically two years in Hallandale Beach and elsewhere in Florida. The defendant argued that the patient’s case should be dismissed because it was filed after the applicable statute of limitations in Florida. Since the patient’s slip and fall accident occurred because the doctor created a dangerous condition that resulted in the patient’s injuries, and since the defendant was sued before the expiration of the statute of limitations for premises liability cases, the plaintiff was able to sue doctor under the legal theory of premises liability. Even though the plaintiff’s case was initially dismissed by the court because it was filed after the expiration of the statute of limitations for medical malpractice lawsuits in Florida, the plaintiff appealed and the case was reversed. So what is it: medical malpractice or premises liability? And that is where it gets interesting. The appellate court explained that not all accidents and injuries that occur in the hospital, emergency rooms, examination rooms, and the doctor’s office fall under the category of “medical malpractice cases. Generally, in order to qualify as a medical malpractice case, it must require an expert witness to testify in court and explain complex medical or scientific concepts to juries and judges. When the court can understand the concepts of the plaintiff’s case without the testimony of expert witnesses, and the case falls under some other legal theory besides medical malpractice, the case can be filed under the traditional theories of negligence, where the statute of limitations is usually longer than for medical malpractice cases. 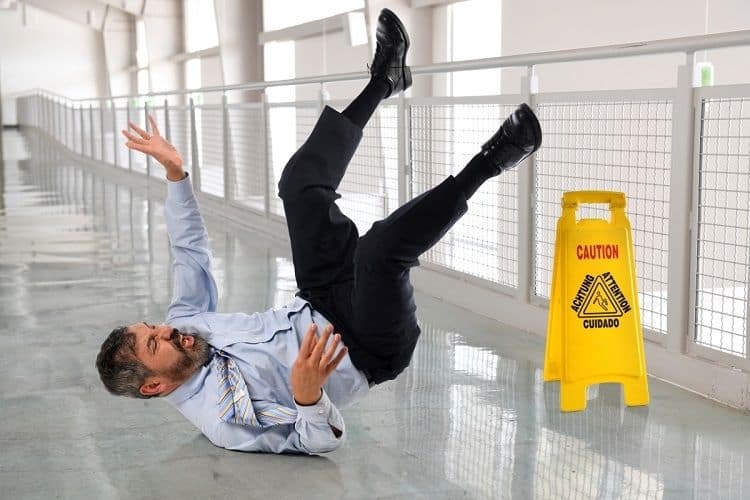 Our Hallandale Beach slip and fall accident attorney explains that it is highly advised to seek legal advice of an experienced lawyer in order to determine under which legal theory you can sue the negligent party. The bottom line is this: just because you were injured at the hospital does not necessarily mean that your accident automatically qualifies as a medical malpractice case. Contact the Dante Law Firm, P.A. to speak about your particular case. Get a free consultation by calling our offices at 305-949-2526 or complete this contact form.